The treadmill can help you to get the maximum benefit from your cardiovascular session within the time you have available. You don’t have to worry about the weather, pollution, road surfaces, uneven terrain, pedestrians or road users. When you’re on the treadmill you’re in control of your session. You can repeat a session and compare your performances. You can run at the exact pace you want to or within specific heart rate zones. You can even watch TV while you’re exercising. 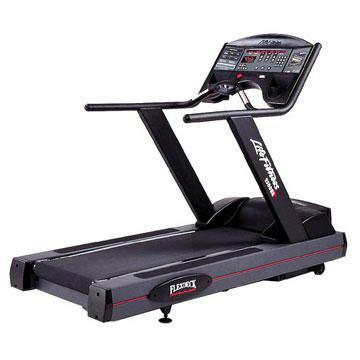 The treadmill is a very versatile machine and is suitable for people of all ages and abilities. It has even been embraced by the sporting profession. Most Premiership footballers and top athletes have used a treadmill at some point. They are excellent for getting fit and staying that way.